MYT is a platform for adventure enthusiasts to mark their trails and share their experiences to the world. With the growing trend of adventure travel, we aim to promote outdoor adventures around the world. 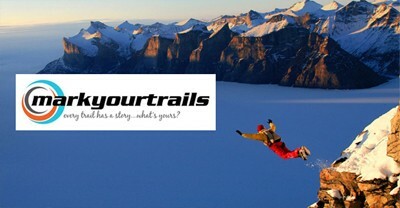 We at MYT believe that every trail has a story. Thus we listen to each story and publish the most inspiring one to share to the world. At our launch, we are open to registering enthusiasts from Marathons, Trekking, Cycling , Road trips and Sky Diving. We call these doers as real 'heroes'. Our aim is to register 10,000 heroes and 1 million kms trail by March 2015. Once done, we then look to launch a couple more adventures like Backpacking, Bungy jumping etc . For the chosen adventure enthusiasts, we also raise funds/find sponsors to accomplish their dream adventure. It is a long term effort in growing the community of adventure and as a media house, MYT wants to hear more stories and more trails of real heroes in life. If you have a hero within you, come explore the world of adventures, come Mark Your Trails with us. Any facts, figures or references stated here are made by the author & don't reflect the endorsement of iU at all times unless otherwise drafted by official staff at iU. This article was first published here on 29th August 2014.